"INSIGHT Article - Cultural Challenge Series - #5: Skilled Resource Management by Bob Giacometti"
The following article is one of a multi-part series on cultural challenges, utilizing The INSIGHT Group's 10 Elements under its Solutions / Services Business Model Architecture. The series' full introduction is reprinted below, but you can jump to this article's specific element #5 - Skilled Resources Management by clicking here. 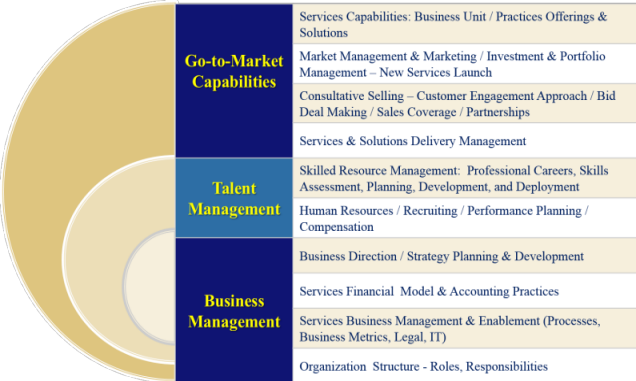 What is Skilled Resources Management? The SRM process requires tight integration with the strategic business planning cycle, services marketing, sales, delivery, skills and profession and development, and business support teams such as HR, Finance and IT. Assessment: Determining the skills needed to achieve strategic and tactical business plan objectives for highly probable customer opportunities. Assessment includes determining the demand for your current skills (Needs) versus your current supply (Haves) to identify the skills shortfall (GAPs) you need to close to achieve your plan. Planning: Developing a plan and set of actions to close those Skills GAP’s through engagement roll-overs, hiring, acquiring, partnering, subcontracting, etc., to meet the “customer valued” skills demand … within the organization’s desired “dedicated” strategic and tactical skills mix. Developing: Ongoing skills and professional development opportunities for services professionals of customer valued skills within a well-defined structure of common professional services jobs, titles, roles, and well defined professional career paths. Deploying: Skills management process for rapidly deploying the right talent to identify, sell, and deliver client services and solutions in time and competitively priced to maximize win rates, return, and customer satisfaction and loyalty. There are certain key elements which help to further enable an effective SRM process for delivering “customer value” through the talents of your people. As outlined in our Culture Challenge series, Culture plays a key role in every services organization and getting it right can be a differentiator for success. While our focus here is on Culture’s impact on Skilled Resources Management, you can download the full Insight White Paper, Seven “C’s” for Success in Professional Services, at the bottom of this page to explore the other six “C’s”. 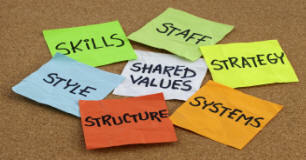 Beyond the basic beliefs and values of the organization, the services culture is primarily driven by client wants, needs, and preferences and is characterized by collaboration, teaming, shared learning, customer valued skills, adaptability, devolved decision making, dynamic resource allocation, accountability, desired behaviors and results, and shared success. It is an achievement focused culture that rewards individuals and teams for designing and delivering profitable services and solution offerings, meeting or exceeding client expectations, and for improving customer satisfaction and loyalty. 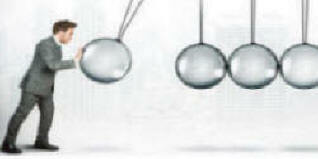 Organizations such as IBM, HP, Xerox, and others continually seek ways to prioritize, balance, and embrace diverse organizational cultures, strategies and structures, as the old and new units compete for the organization’s limited people and financial resources - while advancing the interests of customers. With the right culture in place, you can better prioritize and align allocation of investment and organizational support, minimize competition, and maximize shared resources. 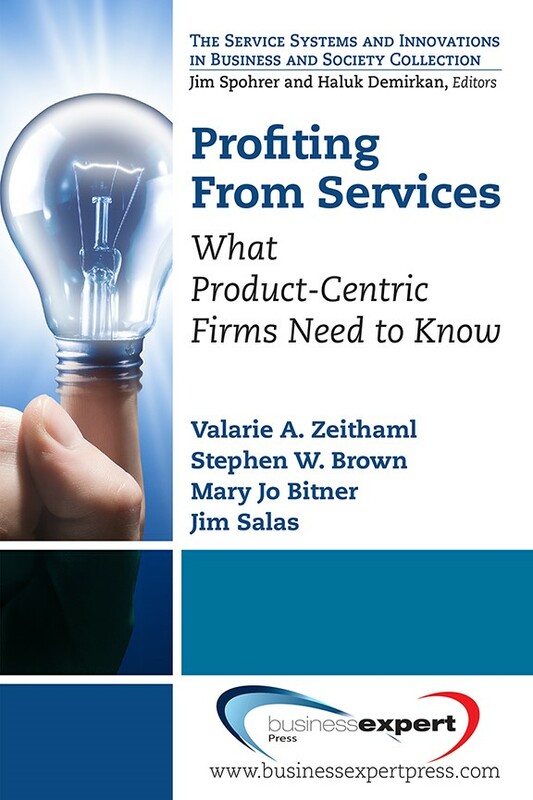 This is especially important in product companies moving toward more services and solutions offerings. An effective SRM process allows services organizations to continually assess their ongoing capacity to meet planned “high probability” opportunities in the strategic services business plan and help to insure success in services. "Skilled Resources Management" "Transforming into a Customer Solutions Business"
Bob Giacometti has extensive “hands on” HR leadership experience designing and implementing new HR initiatives for highly successful services companies. Bob was the HR Executive for IBM Global Services and held key leadership roles during a 32 year IBM career. He was Vice President, National Action Council for Minorities in Engineering, and Vice President for Human and Financial Resources at the Rockefeller Foundation. 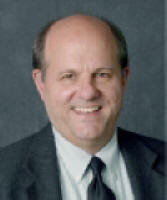 Bob leads INSIGHT’s HR/Talent Management Practice.